Bedford Bat Removal and Bat control is a problem that we find mostly in suburban neighborhoods surrounding the city of Bedford. We are the bat removal and control professionals! Bats are the only mammals that can truly fly and their presence throughout the state of Texas is felt every time you go outdoors. The most common call that we receive in our Bedford office concerning removal of bats in the attic. Bats can become a problem in the attic of your home when their numbers become greater than what the living area will support. When you have a large influx of bats in the attic you will have a large amount of bat guano build up. This is an alarming problem and one that will not cure itself. Once bats have found a suitable place to live, bats will continue to roost in that area for as long as they can. 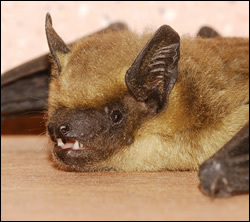 If you have bats in your attic and want to eliminate the problem you should hire a professional bat exclusion expert. Bat exclusion is a very common practice. Bedford is home to many different beneficial types of bats. However, bats should not be a welcome guest in your home. Call a professional Bedford bat control professional today.